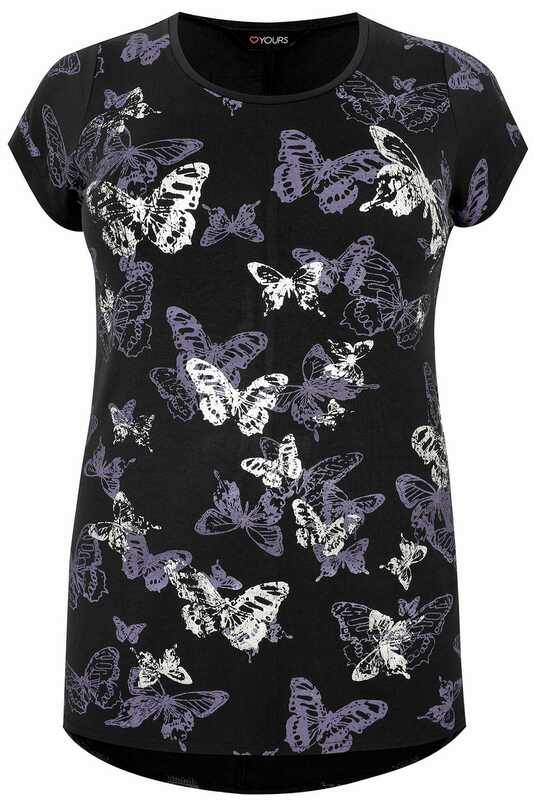 Made from a soft jersey fabric, this comfortable t-shirt features a pretty butterfly print with metallic foil detail. The slight curve of the hem and the short turn-back sleeves give a nice casual finish. 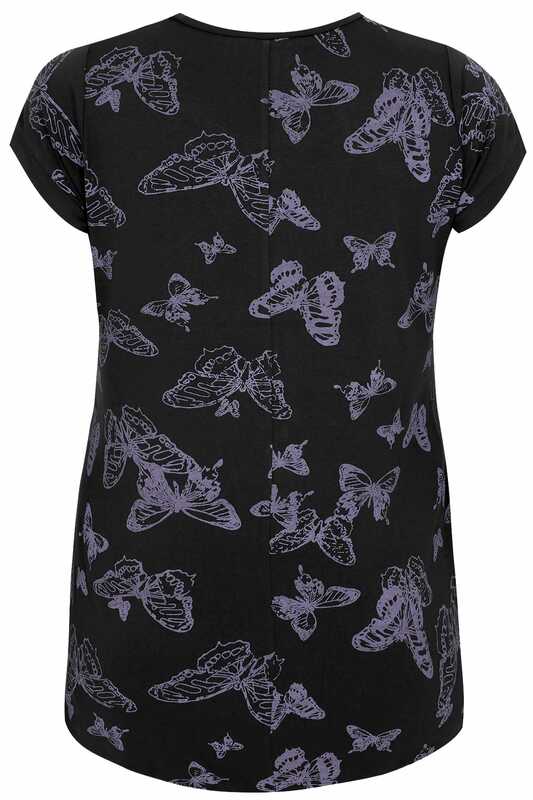 The metallic detail combined with the butterfly print make this tee a must-have.